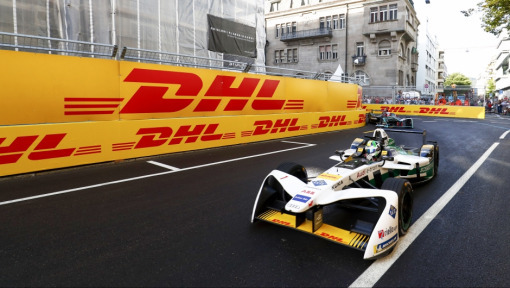 ABB FIA Formula E has worked hard with Official Founding and Logistics Partner DHL to get the new 2018/19 season off to a great start. The new Gen2 racing cars are certainly living up to their billing, with more power, no need for a mid-race car swap, and a spectacular, futuristic design. 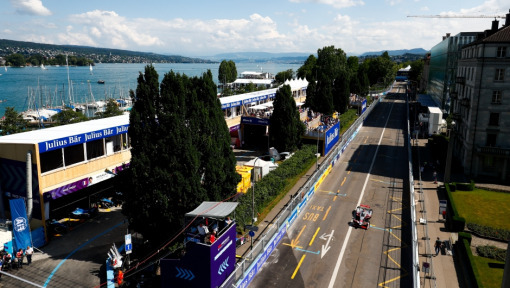 The Gen2 cars constitute a veritable technical revolution in the world’s first 100% electric single-seater racing series – and their 250 kW (335 hp) power units have also demonstrated this on the race track. During the most recent race weekend in Marrakech, it was possible to compare their power with that of their forerunners for the first time under competitive conditions. The results were impressive: on average, the new car was approximately 2.5 seconds faster than the Gen1 predecessor in qualifying and in race trim as well as during the test drives. The additional power of up to 50 kW is therefore not only theoretical. For purposes of comparison, we took the existing track records for 2018 and 2019 in Marrakech. 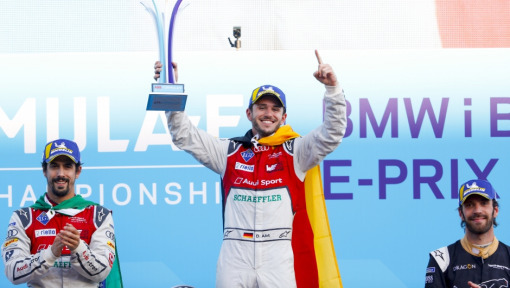 Both of these were set by Switzerland’s Nico Müller, the official Formula E test driver of the Audi Sport ABT Schaeffler team. Müller clocked his best times during the rookie tests on race Saturday. In January 2018, Müller set a fastest lap of 01:19.651 minutes in his Gen1 car on the 2.97km track. Twelve months later, he rounded the circuit in 01:17.074 minutes, i.e. 2.577 seconds faster than in the previous year under comparable ambient conditions. In race trim too, there were clear differences between the two vehicle generations. 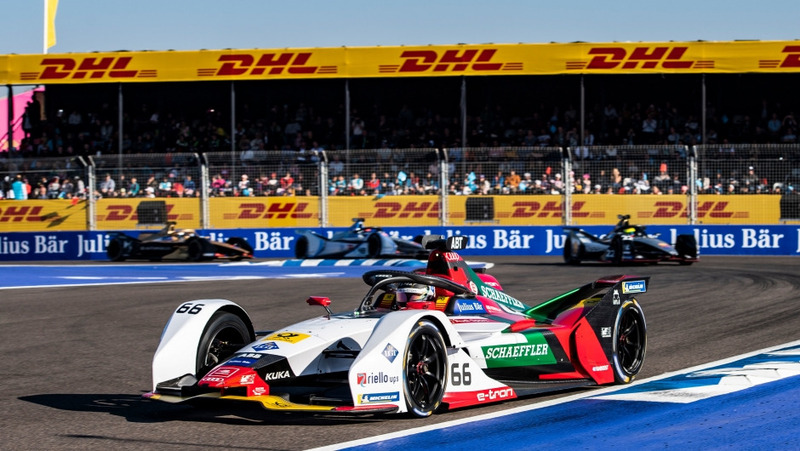 Audi Sport ABT Schaeffler driver and previous year’s championship runner-up Lucas di Grassi clocked the fastest lap of the 2019 race with a time of 01:20.296 minutes (equivalent to 133.2 km/h). This also earned him the extra championship point awarded to the fastest contestant in the Top Ten. In 2018, Panasonic Jaguar Racing driver Nelson Piquet Junior set the fastest race lap in a time of 01:22.832 minutes, 2.536 seconds slower than his Brazilian compatriot the following year. DHL’s logistics experts will be transporting the equipment required for the third race of the season in Santiago de Chile next weekend – and there is certainly plenty of it. 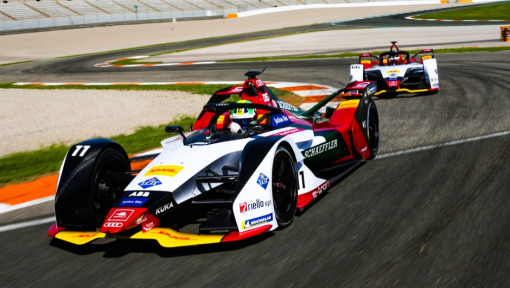 In the containers and boxes belonging to the Audi Sport ABT Schaeffler team are first and foremost the two cars, but there are also two complete sets of bodywork and five monocoques plus front wings to be held in reserve during the Antofagasta Minerals Santiago E-Prix. 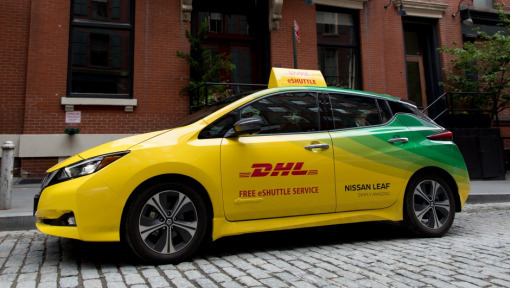 In addition, team partner DHL is transporting all the equipment that will be installed in the team garage and all the tools to be used by the mechanics, as well as various other consumables and spare parts. Plus – absolutely indispensable for every race weekend – an Italian espresso machine, a stereo system and twelve umbrellas for sun or rain! 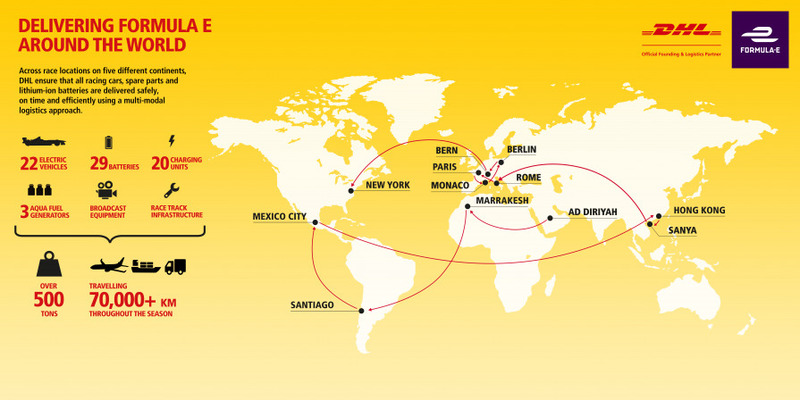 The venue for the second Formula E race to be hosted by Chile (the debut having come in 2018) is the Parque O’Higgins. At 750,000 square meters, it is the second-largest park in the Chilean capital. The 2,348-meter circuit in the center of Santiago, with its long straights, switchbacks and chicanes has been laid out around the Movistar Arena.